McQ Alexander McQueen's designs have a rebellious touch to them that isn't always obvious at first glance - this long cardigan has trailing lace-up ties at the cuffs. 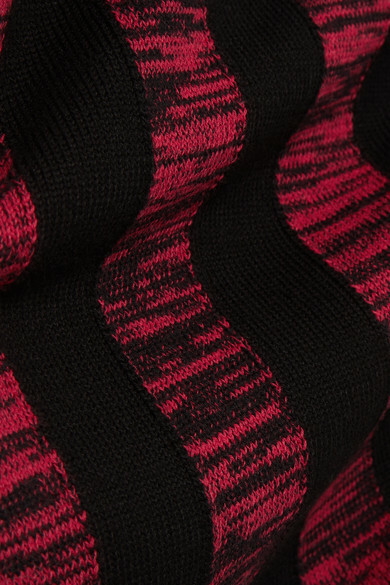 It's knitted for a slightly loose fit from soft cotton in red and black. Match your eyeliner or lip color to the graphic stripes. Shown here with: The Row Dress, JW Anderson Shoulder bag, Isabel Marant Ankle boots.